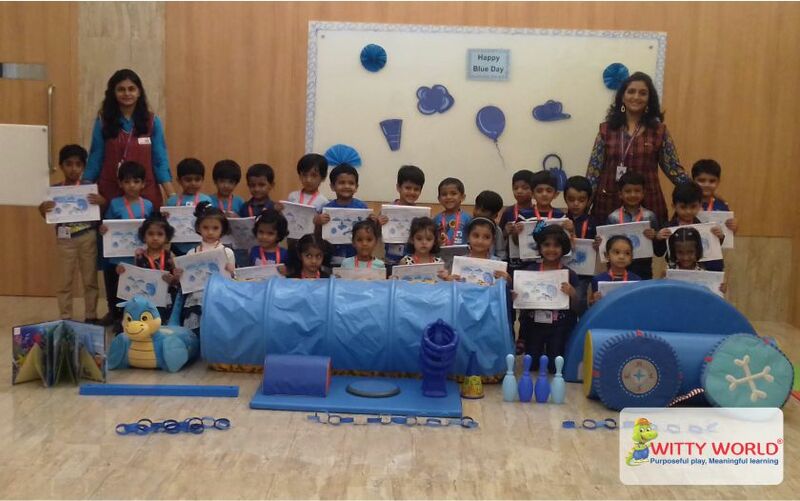 introduced to different shades of blue. 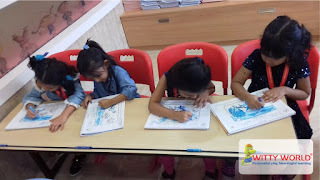 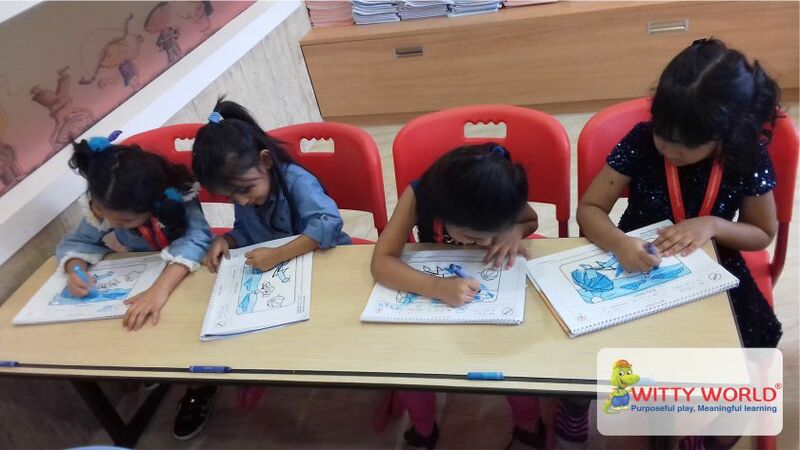 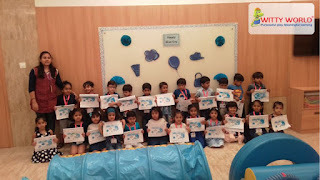 Children excitedly participated in the activity of coloring the beach scene blue. 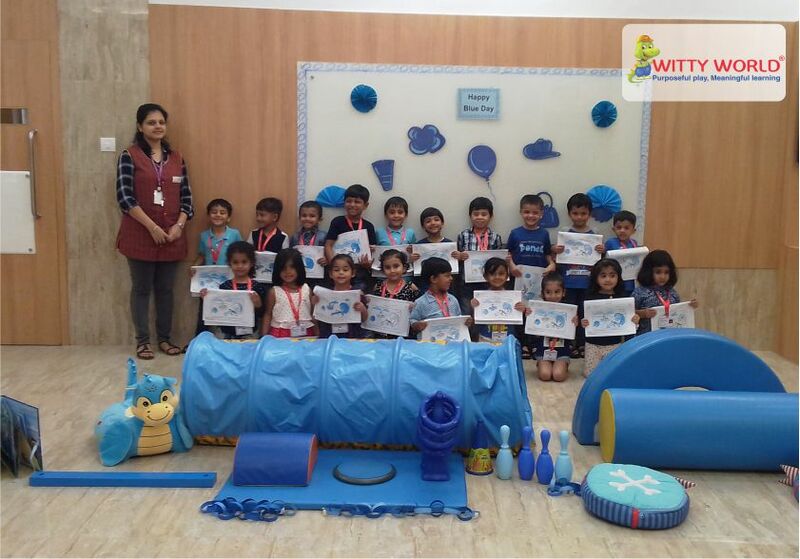 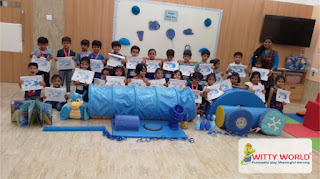 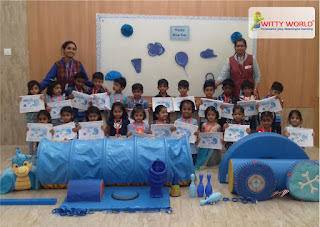 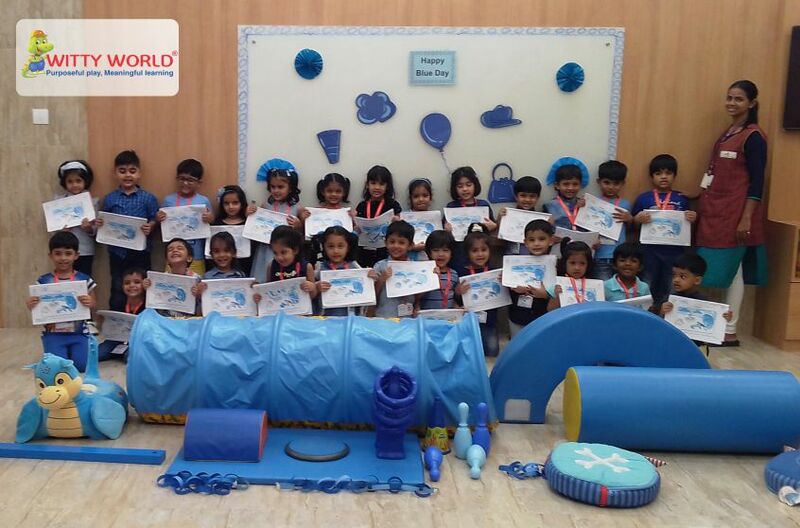 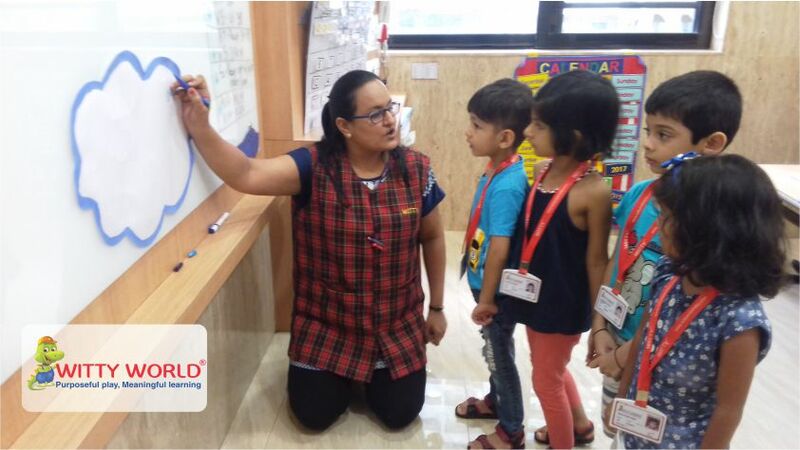 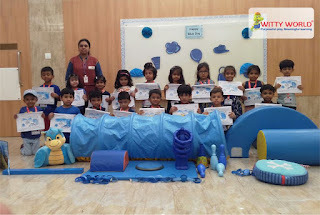 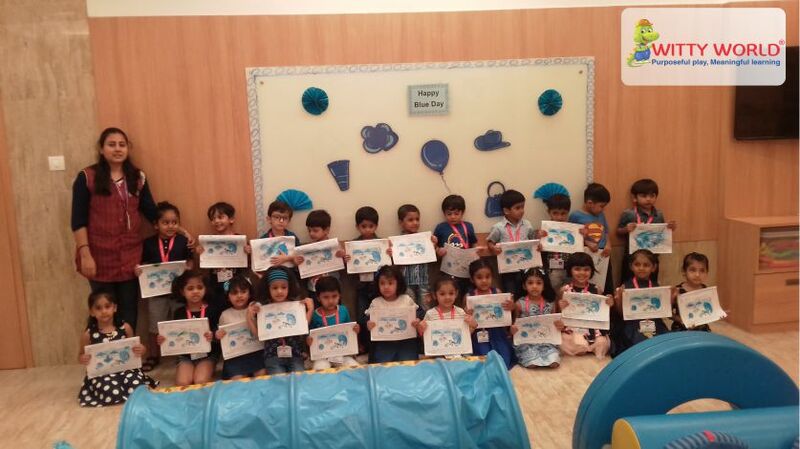 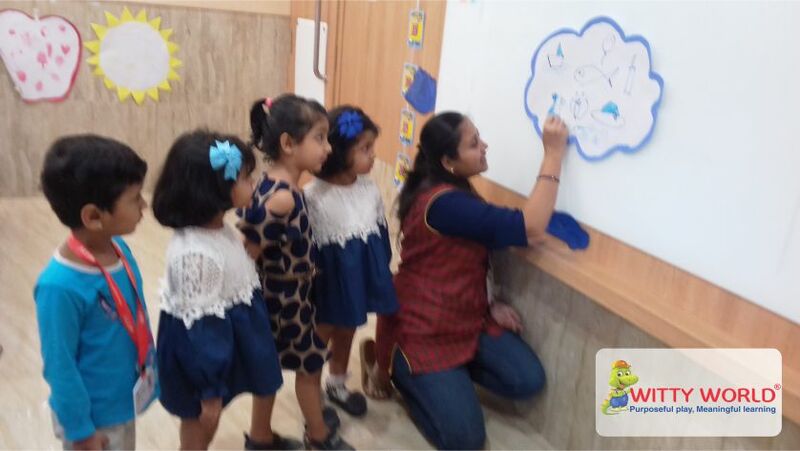 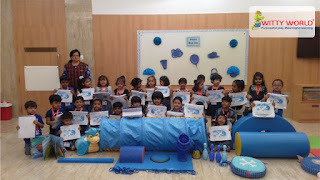 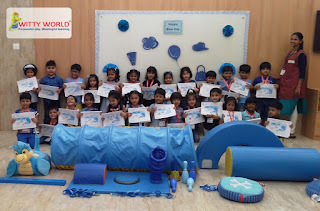 Children had a fun filled ‘Blue Day’ celebration.